While home in the mother country I spotted these terribly fresh, not to mention cute little fish...mackerel to be exact. These wee fish don't swim in our Pacific waters and they really are quite under rated. Freshly caught and simply cooked they taste a little like salmon, just a little less rich. My Grandpa even preferred them to salmon. I thought they would be perfect for a little more hot smoking and then made in to some pate. Hot smoking is as simple as piling some wood chips, I used mesquite, half wet and half dry piled on top of some tinfoil. Then wrap it all up in a loose parcel and pierce it with a good few holes to allow the smoke to work its magic. I again used the "intuitive" method of hot smoking and again it worked a treat. It works well with salmon and would be great with trout. I think I will definitely be trying it out with some of our Pacific snapper or terakihi to make the most of the last BBQing weather hear in NZ. Place the tinfoil package over direct heat on the BBQ and give it a good 5 -10 minutes to get the smoke going. Once the tinfoil parcel is delivering its fragrant smoke place the fish in the BBQ but not over direct heat, you just want the smoke to do the cooking. With these little fish 10-15 minutes is all the time it takes for the smoking to works its magic. For larger fish you will need to add some time and as I use the "intuitive" I can't really give you exact times. But, please give hot smoking a go as it delivers moist, buttery, subtly smoked fish that is simply delicious and so different to anything you will buy ready made. Makes one small bowl, approx. 2 cups, perfect as a light appetiser. 1/4 cup creme fraiche, really just enough to combine. Carefully remove the flesh from the mackerel so that you have flakes of fish and place in a small bowl and set aside. 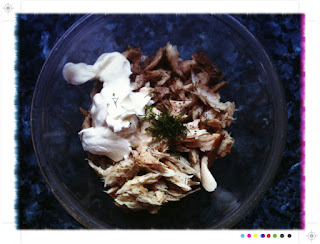 In a separate small bowl mix together the creme fraiche, horseradish, zest and lemon juice, dill and salt and pepper to season. Feel free to play around with seasonings but I do suggest not going overboard with the horseradish or dill as you don't want to over power the delicate flavours of the fish. 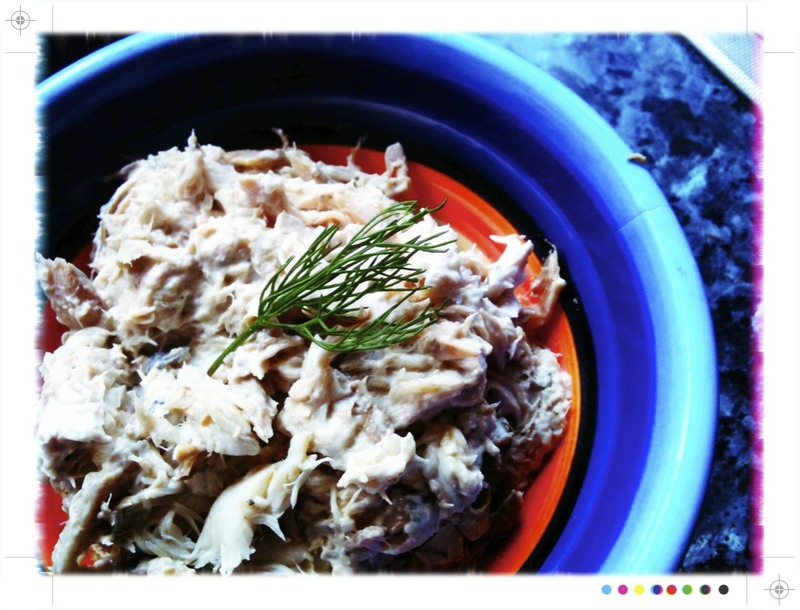 Gently fold in the hot smoked mackerel flakes as you want to have a little texture and flakes of fish as opposed to mush. 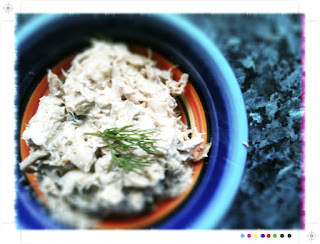 Spoon the pate in to a serving bowl and serve with fresh brown bread and a little butter. If not using the pate straight away cover it with cling and pop it in the fridge. I fish per person will make for a light supper. Score the mackerel with a sharp knife. To grill, drizzle with a little olive oil and lemon juice, season with salt and pepper and place on a BBQ or under a grill for 5-7 minutes each side or until the fish is just cooked through and the skin is crisp. You don't want to over cook it and dry it out, we are looking for moist and flaky here. Mixed leaves, I had a lovely mix of rocket and baby chard leaves. 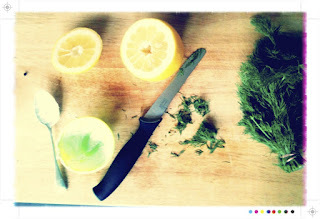 Lemon Vinaigrette, simply mix together the zest and juice of 1 lemon with a little extra virgin olive oil. I prefer my dressings a little tarter so I like a little more lemon juice versus the olive oil. So mix it together as you like it. 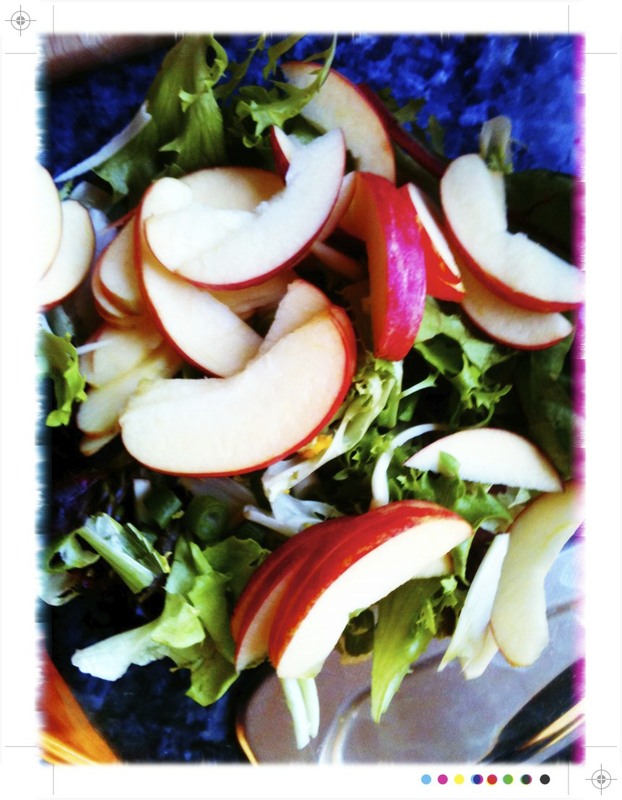 Toss together the fennel, apple and leaves. Season with a little salt and pepper. 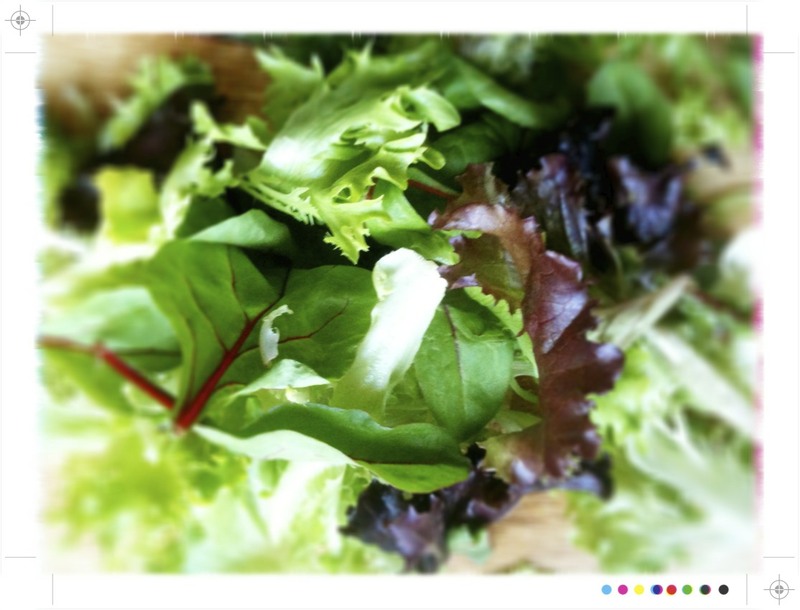 Add just enough dressing to lightly coat all the leaves. 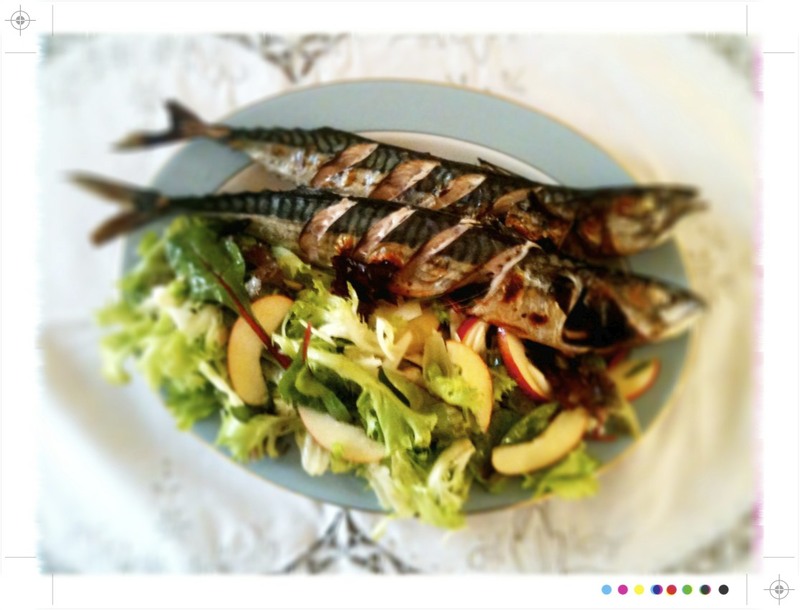 Serve immediately with the grilled mackerel. 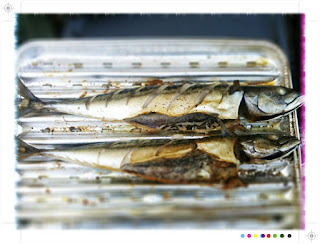 The mackerel was fresh and tasted of the sea. The fennel provided that wonderful fresh aniseed taste and the apple, sweet yet tart and crisp. 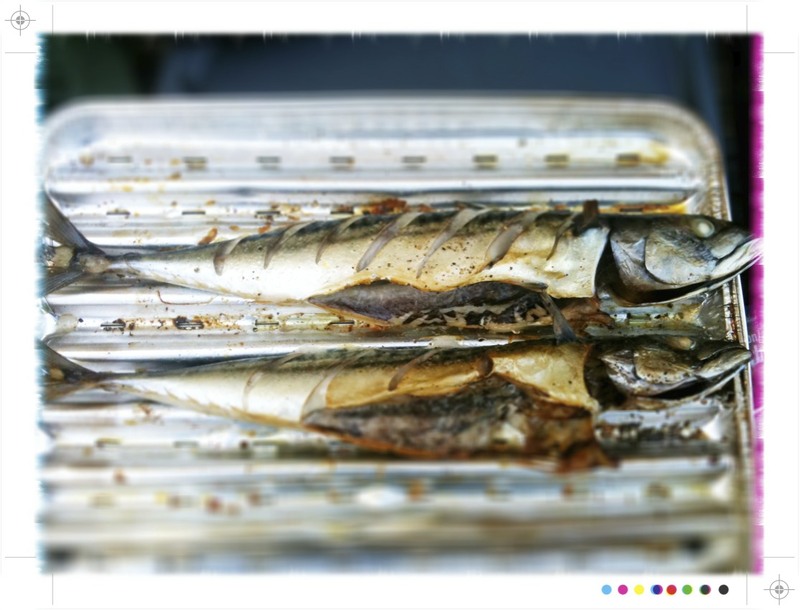 All which cut through the buttery, flaky mackerel. So if you are lucky enough to spot these little fish don't ignore them simply grill them or hot smoke ad whip up a little pate. I recently made smoked peppered mackerel. I love it more than smoked salmon, which is what is usually available here in the Pacific Northwest. I will need to try the pate. Mmmmm! 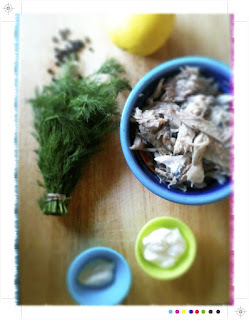 Mackerel, fennel and apple sounds like a fab combo!